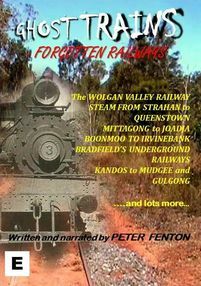 A DVD From the producers of "The Savannahlander: The Home Movie" and "The Gulflander: The Home Movie"
A journey of a different kind… traveling back in time, in the present, and looking to the future of railway tourism, is also a salute to three Visionaries – John Whitton, Henry Deane and J.J. Bradfield. We travel from Boonmoo to Irvinebank in Far North Queensland. See the fiasco of the opening of the Ravenswood Line. Then to Mudgee in NSW. As far as country towns go, you could say Mudgee has everything. But you would be wrong. It has a magnificent railway station. It has the lines. But it doesn't have trains. The same applies to Kandos, Ryalstone, Gulgong and the little station at Lue. We visit the Cowra lines where Double "B"'s load grain from huge silos while the rail lines lie idle alongside. Historian and Author, Leonie Knapman takes us along the lines to Joadja. 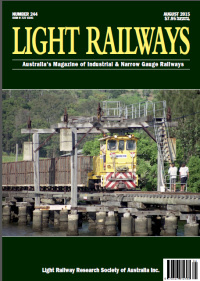 Michael Keats, Bushwalker, Historian and Author explores Henry Deane's great Wolgan Valley Railway. Bradfield's wonderful vision for Sydney's Underground Railway is examined and his unfinished tunnels visited. Throughout this absorbing documentary we have welcome changes of pace travelling Tasmania's West Coast Wilderness Railway. So sit back and admire the achievements of our railway pioneers and ponder why we are not doing more to revitalise the tourist potential of our neglected railways. © Copyright 2009-2018, Anthony Buckley Films Pty Ltd, All rights Reserved. E&OE, Prices are correct at time of original publication but are subject to change without notice. Privacy Notice: We do not reveal or sell your details to any third person or external entity. All details provided are Strictly Confidential and are used for internal purposes only.